BC01-STICKERSF $9.00 Notes P1 Racing Wheel Decal "SF"
BC01-STICKER $9.00 Notes P1 Racing Wheel Decal "P-1 Racing"
Buddy Club P1 Racing SF wheels are offered with budget minded racers in mind. When every ounce counts, the Buddy Club P1 Racing SF does not disappoint with its light weight design. 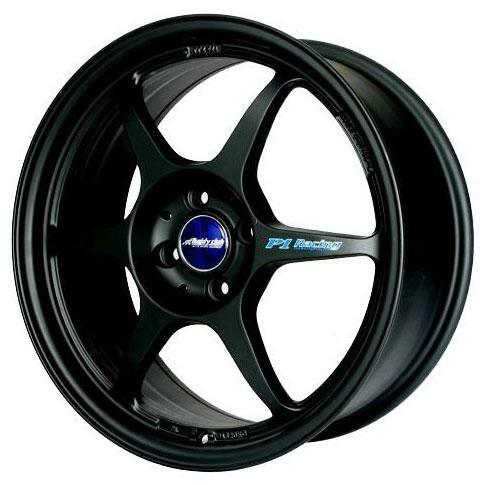 In the same lineage of the legendary forged Buddy Club P1 Racing QF Wheel, the SF continues in the same manner, offering lightweight quality and high-performance. The Buddy Club P1 Racing SF wheel is a perfect strike of style and performance while making it durable enough for both track and street duties.